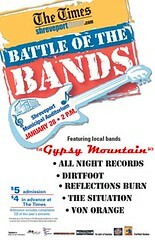 Battle of the Bands: is there a more primal experience? Feral musicians howling at the moon over caterwauling soundscapes atop a pounding tropical pulse. Anyway, I hope it's something like that because I'm one of the judges this year. 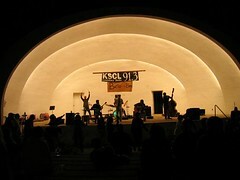 This one's held in the amphitheater at Centenary College with everyone's tongue in cheeks, I believe. May the swankiest band win. The Wizard of Oz, a new ballet in the classical tradition, will be presented by the Shreveport Metropolitan Ballet on Friday, March 10, at 7:30 p.m., and Saturday, March 11, at 7:30 p.m., at Shreveport’s Civic Theater. There will be an original symphonic score composed by the Shreveport Symphony’s concertmaster Kermit Poling. The Symphony will accompany both performances of the ballet, says SMB's Susan Gross. Guesting in the role of the Wicked Witch will be Jacob Sparso of Ballet Oklahoma. Original sets have been created by David Steen and Don Hooper. 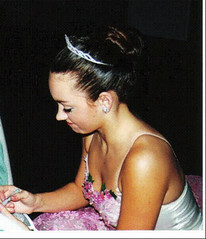 Principal costumes are by Michael Jones, also of Ballet Oklahoma. Shreveport Metropolitan Ballet Junior and Senior Company dancers will be supplemented by a cast of local children, bringing the total cast to almost 100. Emily Camden and Brittanye Dutton will alternate in the role of Dorothy. Tickets range from $10 to $30. For further information, call the Shreveport Metropolitan Ballet office between 9 a.m. and 2 p.m. weekdays: 459-1457. For tickets the week of the show, call the Civic Theater box office, 673-5108, or visit the box office in person 10 a.m. to 5 p.m.
Arctic Monkeys: "scrappy and brilliant group from Yorkshire that is currently awash in hyperbolic praise"
NY Times hype, freshly spied, can deliver a sort of carbonatical intoxication to folks like me. Re the Arctic Monkeys are hot! But the hypemachine has its balancing wheel today. It's the online mp3 and, of course, it reveals a nice kachunk of the real story. This week the NYTimes cleverly pumps up the Arctic Monkeys hysteria. Here's the article and here's the Arctic Monkeys myspace.com site, with 4 of their Yorkshire-inflected teen puddings. "Due to the cutbacks in SRAC's budget we weren't sure whether we were going to be able to put on this show at the Strand Theater," Carol Anglin told the audience at La. Dance Alive! on Jan 20. Happily, the money was allocated and Anglin's La Dance Theater group took the stage. They shared the evening with Randy Allen's Impulse Dance Theater of the La School for Math, Sci & the Arts and with the scintillating Orchesis Dance Company of Grambling University. 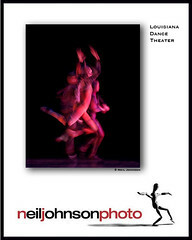 Also contributing two solo numbers was nationally-known Shreveport dancer Michael Phillips. A member of La Dance Theater who didn't dance with the ensemble because of conflicts with lacrosse and fencing, Phillips danced to Billy Joel's Summer, Highland Falls and, later in the show, to Dean Martin's Aint That a Kick in the Head. While each troupe presented dance that was well-rehearsed and pleasing to the eye, Phillips and the large Orchesis Dance Company were at a riveting level of expertise. More info at Carol Anglin Dancenter: 318-861-3006. Karen Partee, model, is to be feted at a party by Dennis O Bryant, artist, at the DenoArt Studio and Gallery, 707 E. Burleson, Marshall, TX. The event is at 6 om Sat, Feb 4. 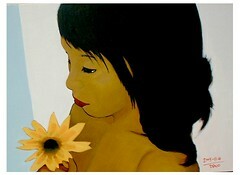 It's O Bryant's way of thanking Partee for her inspiration in 4 paintings. They were recently exhibited at Bistineau Gallery and featured in the Times. Along with music by Annie Gallup and bassist Sean Kelly, the Wed, Feb 8, Home Concert groovers will be able to enjoy an art exhibit in the Fairfield Studios lobby. Paintings by Tony Reans and prints and photos by Talbot Hopkins will be on view. The Reans and Hopkins show will additionally have a reception at Fairfield Studios, corner of Fairfield and Jordan, on Fri, Feb 10, 5 to 8 pm. FF Studios host Dana McCommon: 220-0400. 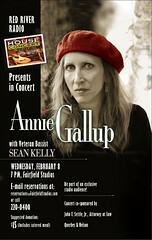 Annie Gallup show: 7 pm / $15, with supper. Computers in the classroom: "Today's tech-savvy students are stuck in text-dominated schools"
"Today's tech-savvy students are stuck in text-dominated schools," says research in a report entitled Listening to Student Voices - on Technology. It arrived via Ednews@email.admail.net. My students at Caddo Magnet High are encouraged to bring their laptops to school and use them during social studies class. They can take notes, research relevant material, make instantaneous contributions to class and email me their essays. There are 2 desktop computers in my room and students are encouraged to use them for any academic purpose during class. Students also use the units under my purview before and after school and at lunch. They check the class web site for assignments and notes, download material for class activities, download and edit videos, crop photos, and check email. Thus I try to foster a a sense of cooperative inquiry in academic activities - using the tools of the business and academic world. 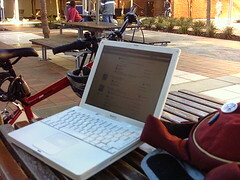 Students who stray from appropriate and academic sites are banned from the privilage for a week or longer. 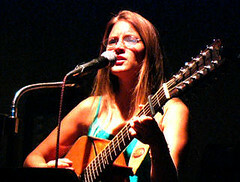 academic papers, activities in which they participated and photos of themselves and friends. 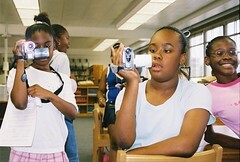 The classroom digital cameras are available from me upon appropriate request. They go into circulation several times a day. I also check out the *teacher videocam" to students when needed. Also, I have a friend who gives away refurbished computers to families in need; several of my students have gained from his generosity. Thanks to a program called Louisiana InTech I spent 56 hours in intensive workshop sessions designed to help me guide students in the use of digital tools. Thanks to fluent and generous teacher Mike Rabourn of the Caddo tech team, the sessions were very helpful. Another fellow teacher who's been inspiring and generous with his time and expertise - wireless in my classroom, for instance - is William Bill Knox. 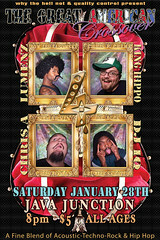 One of the more elaborate posters in recent memory, this baroque piece says, I think, that Chris Jay will not rest while there is anything left in this town to synthesize or integratize. You're not in a band? Go get yourself one! Hats off to Alex Kent and Alan English of the Times and Don Echols of Gypsy Mountain, who sent us this piece. Bon chance, mes amis. The Women of Giacometti is the road show (Jan 14 - Ap 9) at the Nasher Sculpture Center, downtown Dallas. It's a low-key display - who can tell the difference between the women and the men in Giacometti's gaunt figures? But the Nasher is a spacious venue and I felt like I was walking round inside the magnified movement of an enormous watch, and the Giacometti's were the pivots. The best part of the exhibit was downstairs, where we were able to see the Swiss sculptor's entrancing early work and view a film - well, part of it - on his life. He was a charming man and worked in some charmingly funky ateliers in Geneva. The sculptures that kept drawing me back for an additional taste were gaunties about 3 cm tall. The Nasher's steel-studded garden was easily the greenest spot in parched Dallas. The theme is not monumental coolness, as in the Dallas Museum of Art's concrete-and-water sculpture garden. At the Nasher it's mortality and vanity. We all look like damned sculptures when we're wandering among the witty and frozen but expectant figures of this collection. 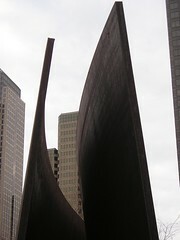 See the Talbot Hopkins photo of the Richard Serra steel for an idea of the Nasher's grand view. For the past year I've run Shreveport Blog as an internet news post for the arts. It has been a serious and consuming hobby. Today I've reconsidered that pathway. The flow of selected and jazzified press releases was an experiment in new media, and I can see that its usefulness to the community was limited. No matter; I enjoyed the endeavor and have developed new friends by the experience. Now I want to focus on you. Shreveport Blog is a model. Your arts organization, your personal art flow or your business ought to communicate with clients and friends via a similar format. You can have your own version of it very cheaply, and for a reasonable fee I will set you up and make sure you are comfortable updating, when needed, this sort of flexible comunications satellite. Photography is also a service for you to consider. Page back over the year of posts on SptBlog and decide whether you'd like to hire me to cover your event or start-up situation. Video documentary work is a growth area for me. And I continue to be a creator of soundtracks. Arts-minded projects in video and music will consume much of my time in the near future. Shreveport Blog will certainly continue to exist, but from today it changes directions. What's recommendable in arts & entertainment this weekend you may find in other media outlets. The reshaping begins with a still life by artist Talbot Hopkins. 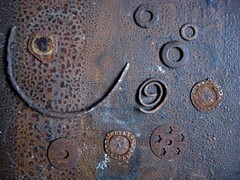 Please see her web site, TalbotHopkinsArt.blogspot.com, and consider having your own such easy-to-manage info center. 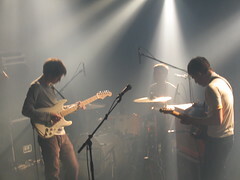 Tungsten 74, based in Brooklyn, claims to be amused at being mentioned by the New Yorker as an experimental rock band. See their citation on the tungsten74.com site. They are due at minicine? Wed, Jan 11, says David Nelson. "For Dean, who also enjoys the rhythmic cycles of classical Indian musicians like Ravi Shankar, an appreciation of classical music can be gained with open-mindedness. "I don't know how someone can be a musician and not sample every style. For centuries, (classical music) was all that music was." Dean, Pete Fetterman and classically trained violinist Destiny Toro recently started the band Mosquitosophagus, which experiments with a 150-year-old cello, a laptop, drums, a guitar, Toro's violin and the soundboard of a piano they found in a trash heap. So they don't have the whole piano, and nobody knows how to play Fetterman's mother's cello. But Mosquitosophagus believes that as long as something can make noise, it's fair game." At minicine?, writes Nelson, "Our new space is not really open officially but we could not let this chance pass..... Tungsten 74, on tour, returns to Shreveport... Mosquitosaphagus ReAwakens from a lengthy sleep... Hard hats still required." "Producers, Directors, Actors, Crew, Writers, Agents, Casting Directors and many other people who are making films in this state will be in attendance at the Louisiana Produces meeting Tue, Jan 10., 7 pm," says Wayne Morgan of the Hurd Casting Network. 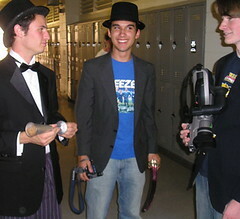 Movie Sauce Film Fest was created in May, '05, by a small group of unusually committed teen filmmakers led by Hunter Carter and Evan Falbaum. Held at Fairfield Studios, Shreveport, the event was mobbed by enthusiastic viewers. Writes Carter on the moviesauce.org web site: "The Moviesauce Film Festival was created in 2005 by Hunter Carter, Evan Falbaum, and Kemerton Hargrove, as a response to the lack of venues and support for student, experimental, and low-budget films. With these films in mind, Moviesauce was created to provide a physical screening place for filmmakers whose reach would normally be limited to small local releases, or the Internet. As the name (coined by Kemerton Hargrove) implies, Moviesauce is not just about showing the movies, but it is a little something extra. The event is more like a convention than a typical film festival, as there are panels, Q&A sessions, and more. Moviesauce is by the filmmakers, for the filmmakers -- and while many other festivals echo that motto, we think our sense of humor speaks for us. I mean, come on. Moviesauce." Carter and his partners are back with a second and expanded edition of the event. It is no longer strictly a student competition. It is open to submissions from across the globe. And as students who've operated their own web site and forum for several years, they have an international network of moviemaking peers. "Each of them has a separate award," writes Carter, "and finally, there is the Awesomesauce award, chosen by the attending audience, and presented on the final day of the festival." Withoutabox.com handles the paper work. Carter, Falbaum, Hargrove and helpful local peers were at Caddo Magnet High last year. This year they are scattered at various universities. 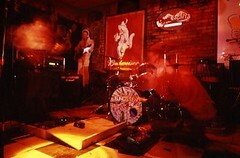 You can follow the continuing saga of these young filmmakers and producers at 2manshows.com. Artist Noma Fowler-Sandlin and husband Chris, until recently manager of Artspace, are having fun in the kitchen. 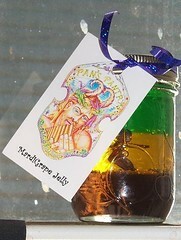 For a limited time they will offer a distinctive sussie to carnival lovers: Mardi Gras jelly. As you can see in the photo, the colors are stratified a la Crescent City. Email them at panspantry@musebite.com or chat with them at 318-349-1568. Political activist, critic, essayist and book maven Michael Parker has been named executive director of the newly-organized West Edge Artists' Co-op. "Michael brings with him years of experience working in the regional arts sector, and is a well-respected member of Shreveport's literary arts community," says Debbie Buchanan Engle, West Edge Arts Co-op founder. 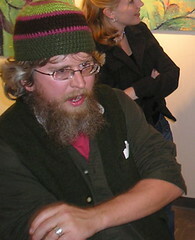 "Michael is a full member of the West Edge Artists' Co-op, and will offer rare and used books in his co-op gallery space. He will be responsible for the day-to-day operations of the co-op, and will serve on its Board of Directors." "I'm a Shreveport native, returned to the area in August 2004 after 18 years away. I'm blissfully married to a beautiful, brilliant and heroic eighth-grade English teacher, & we have a vivacious five-year-old stand-up comic-in-training who adores Calvin and Hobbes. I'm passionate about politics, books and baseball. Fighting for social justice keeps me young, being a stay-at-homeschooling father keeps me on my toes, and my early retirement keeps me active. Peace, y'all." The West Edge Artists' Co-op welcomes artists from all disciplines to apply for membership in the group. See the webite at www.westedgeartists.com, or call 318.221.6961. Sandra Odom, a pixie soul known to some as "Sam," (with plenty of irony) says, "I'm here to let you know that Lip Service Trio is bringing in the New Year at Java Junction .....Friday this time, instead of Saturday. The news is that Java Junction now has its liquor license and will be serving some tasty beers and wine along with their delicious food and coffees.....and no smoke." Odom, not shy about her venue, waxes on: "I really enjoy the Junction. If you can't make it for our show, make it a point to catch them for breakfast or lunch and check out the other artists playing there. Sarah & Lee are making a nice thing happen there.......along with Stan Rice and a nice, friendly staff. I don't doubt you'll enjoy your visit." 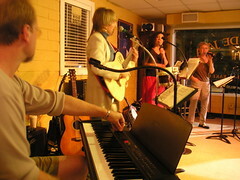 The bubbly singer-keyboard player can be reached for more info at 226-0614. Fri, Jan. 6, 8 to 11 pm. "You've got to believe you're going to be lucky," reminds Fortescue Whittle Hopkins, of Roanoke, Va. Indeed, being prepared to win a fun car is a meritorious state. Especially when the luck may emanate from the Shreveport Symphony Orchestra's 17th annual Luxury Raffle benefit. Tickets are $100 each. But only 2006 tickets will be sold, at best. Drawing: Sat, Mar 4, 2006 following the MasterSeries Concert with the Three Phantoms. You need not be present to win. Will the winner be responsible for all applicable taxes on prizes? Yes. Small price for such luck, right? Buy tickets online at shreveportsymphony.com or by calling 318-227-8863. 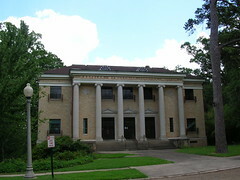 Shreveport's newest celebration of the printed word, the Karpeles Manuscript Library Museum, Centenary Blvd at Atkins St.
"The new Karpeles Manuscript Library Museum is located at Centenary Blvd. & Atkins St.," writes Kathy Pliler, S'pt Karpeles director. "This is the former home of the Christian Science Church. We had our Grand Opening in August 2005, right before Katrina hit, so we've gotten off to a slow start. With that behind us, we're looking forward to 2006. Many people over the years have passed by here and wondered what it looks like inside. Now that curiousity can be satisfied!" 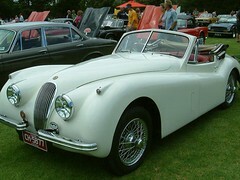 "You can check us out at www.karples.com; in the lower right hand corner, click on Shreveport. We are part of the national website and hope to have more local information in the future." "Would love for you to come by and check us out -- Admission is FREE! Also, spread the word to teachers that we're available for field trips." "Also, every month we will have a different visual artist exhibited. An art reception will be held the 1st Saturday of every month from 1-3 p.m. -- except for January. The Reception will be held on January 14th and the artist is 'Aerial.' More on this soon," promises the informative and ebullient Mrs. Pliler. Chat with her at 318-861-7615. A San Francisco woman looks at the devastation and recovery in New Orleans; 'It's a good time to visit." A photog who goes by the tag fotogail reports on flickr.com, "We had a great time in new orleans, spending vacation bucks on amazing live music and astonishingly great food in the slightly damaged parts of the town. the french quarter, the garden district, uptown... those places are part of the narrow crescent-shaped area the area the locals are calling "the island" where it didn't flood or only flooded a few feet, briefly. the oldest historical buildings, most restaurants and most hotels are in that high ground area, and quite a few have reopened to their former glory! it's a good time to visit. whole large neighborhoods -- many dozens of blocks each on perhaps a hundred streets -- are not "on the island," and the smell of mold and sight of debris is stunning. 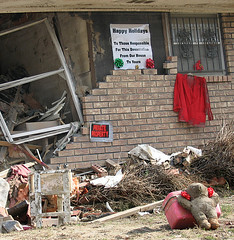 local residents kept telling us to go out into residential neighborhoods to look at the destruction and tell people how extensive it is, so i will start by passing along this holiday message for the powers that be, posted on what was an affluent modern home near the 17th street canal levee breach." Java Junction is the cafe across from Centenary College at Alexander St, next door to the almighty temple of hardware and advice called Centenary Hardware (what terrific service!). Java Junction been through numerous hands in recent years. Most of the renovation schemes have been what I would term simply- to moderately- atrocious. Lee and Susan Bamberg, however, have given the place pleasant colors and furniture. Theirs is the best version yet. Bamberg's food is delicious. The Chicken Alexander sandwich with home-made pasta I've eaten several times; it's consistently sweet, tender and toothsome. Along comes a new opportunity to enjoy the room: Dan Garner will set up his traveling poetry and songsters road show in the front room Wed, Jan 4, at 7:30 pm. No telling what you'll hear past the droll, politically satirical and tuneful Garner. But whatever it is, I recommend it. More info: 865-9313. Performers, please check in with Garner at 934-0000. Originally uploaded by Robinson Film Center. Teachers of English, social studies, science and art, please consider making a video production an option for an upcoming project. If students are clever and hardworking, their video project might be entered in the Louisiana Film Fest. The LaFF is sponsored by the Robinson Film Center, Shreveport, as well as by Centenary College and Louisiana Public Broadcasting. The RFC's marketing and education director, Chris L. Jay, says "I’m trying everything I can to get educators involved in motivating their students to create something for the 2006 Louisiana Film festival – Student Division. This year, we’ve got more than $1,000 in cash prizes, an interactive session with filmmaker Sasha Wolf (whose short film “Joe” was nominated for the Palm d’Or at the Cannes International Film Festival in 1997), and an altogether improved fest." The Robinson Film Center: 424-9090. Jenifer Hill Akers and husband David recently visited the Crescent City and brought back a telling photographic report. Akers, development director for the Shreveport Symphony Orchestra, wrote, "The cityscape was taken from the roof, 30 floors up, of the Wyndham Canal Hotel. It shows the sea of FEMA tarps still on the roofs. That was one reason they asked the residents not to shoot fireworks on New Year's eve. Apparently the tarps are quite flammable." She brought good news, too. Among the restaurants that have re-opened is the favorite of all the world. "Cafe Du Monde is alive and well. 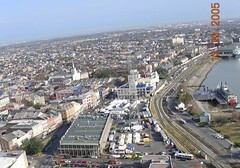 Vive Nouvelle Orleans." More sobering images from the Akers' photo essay can be seen by following the photo's link to flickr.com. Originally uploaded by Chad Miller. Shreveport's ad hoc Go guru, Peter Haas, invites locals to expand their universe via the Go society, which welcomes even youngsters to the gaming board: "Happy New Year to all. Our usual meeting will take place on Tue, Jan. 3, at 7:00 at Barnes & Noble." 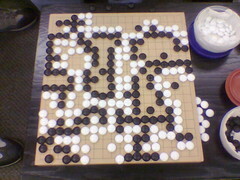 "Ring in the New Year with a game of Go. The good people at B&N have set up a display with our new fliers and their Go books right by the cafe. 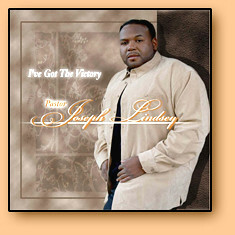 Check it out and tell your friends to take a look." One of downtown Shreveport's best-attended concerts of the year is the Shreveport Symphony Orchestra's People's Concert. Both sides of the city come together to rock and sway with a massive combined choir accompanied by Kermit Poling and the SSO. Per tradition, radio personality Daddy Ro will serve as narrator of Schwantner's symphonic work, New Morning for the World, which is based upon texts by Dr. Martin Luther King, Jr.
Another featured guest artist for the evening is gospel recording artist Paster Joseph Lindsey. The Symphony will be joined by a massed choir composed of singers from Mt. Canaan Baptist Church, Little Union Baptist Church , Midway Baptist Church and Avenue Baptist Church Choirs, plus the Sanctuary Singers and the Interdenominational Ensemble from ULM under the direction of S. Royce Mosely.